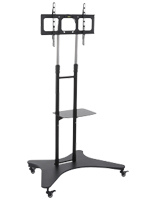 This metal cheap LCD TV stand with wheels, like a Plasma television rack, presents dynamic televised content at a low price. 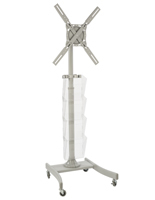 The flat panel monitor holder is completely adjustable to advertise on screen items at one of 7 heights. 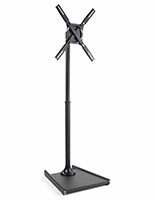 This portable cheap LCD stand on wheels does not require much set-up time for almost instant use. 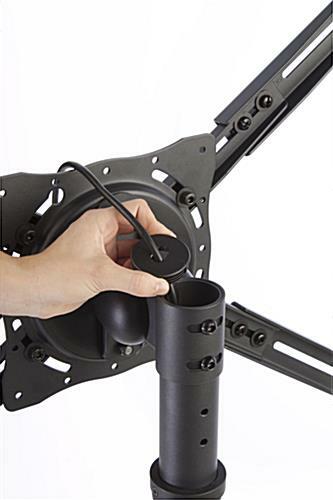 The Plasma television rack conceals electronic wires from view with a hollow post structure to prevent customers from tripping as they pass. 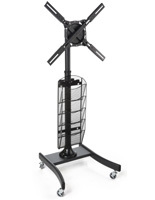 This economy cheap LCD TV stand with wheels can easily be pushed from place to place. 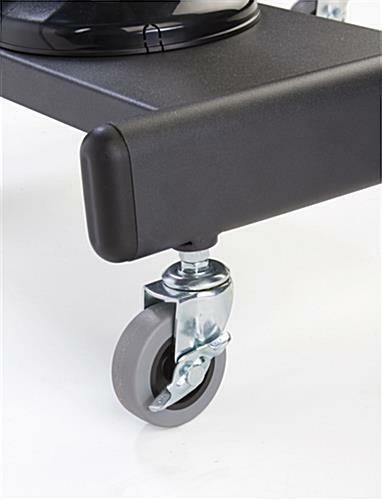 The flat panel monitor holder maintains positions thanks to locks on the casters when advertisers find the best place for the unit. 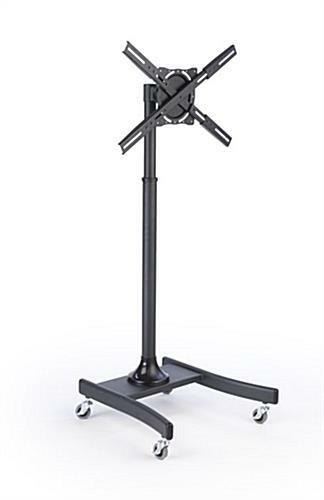 This metal cheap LCD TV stand on wheels adheres to all of the VESA regulations for convenient monitor mounting. 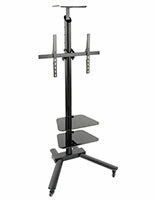 The Plasma television rack accommodates screens measuring from 27" - 60" to fit common sizes. 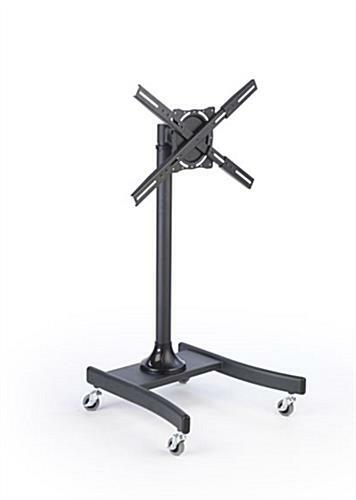 This portable cheap LCD TV stand with wheels will rotate and tilt up to 25° for creating the best viewing experience. 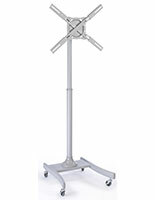 The flat panel monitor holder is capable of presenting screens in landscape or portrait format. 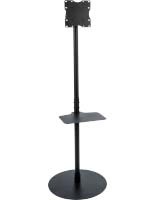 This economy cheap LCD TV stand, sometimes referred to as AV furniture, is capable of blending in with most environments. 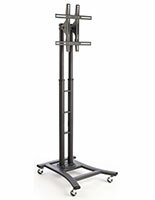 The Plasma television rack is a favorite in corporate and residential settings. 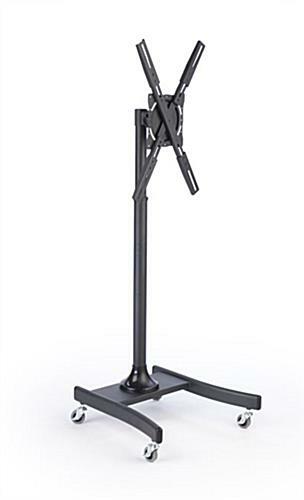 This portable cheap LCD TV stand is crafted out of steel for an extremely durable exterior. 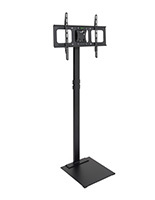 The flat panel monitor holder can be used for digital signage, video conferencing, or simply watching a movie. 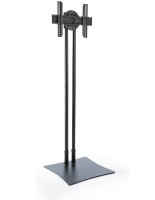 This metal cheap LCD TV stand has a neutral black coloring that does not distract from the content on screen. The AV furniture has applications at hospitals, as many physicians are starting to use larger monitors to view test results. 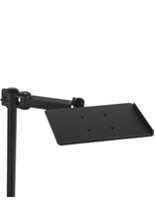 This cheap LCD TV stand is a cost effective method for integrating screens into a variety of situations. The Plasma television holder will not break the budget!